Defender of the Faith Prayer Breakfast – A Great Success! Concerned Women for America of North Carolina and our guests had an unforgettable time at our first Defender of the Faith Prayer Breakfast held in early May at the Billy Graham headquarters in Charlotte. In fact, we have already received emails and calls responding that they cannot wait until our next breakfast! So, what was so special about our event? Location, location, location! What a wonderful celebration we shared in such a lovely setting. If you have never been to the Billy Graham Evangelistic Association campus, you have surely missed out on a memorable visit. 20th Anniversary! We celebrated our 20th year of the founding of our state chapter. 5th Anniversary! This date in May was significant as it marked the fifth anniversary of the passage of the Marriage Amendment to the Constitution of North Carolina … regardless of the fact that it was ruled unconstitutional by a federal judge two years later. First, we honored Dr. Billy Graham with a framed copy of the 1997 North Carolina Senate Resolution which named him as World Evangelist. The framed resolution was presented to Dr. Graham’s grandson, Roy Austin Graham, as a gift to be displayed in the Billy Graham Library. We also honored Sen. Dan Bishop (R-District 39) to whom we presented the “Outstanding Legislator in Defense of Family Values” While serving as North Carolina State Representative for District 104 in 2016, he was the primary author and sponsor for HB2, The Public Facilities Privacy & Security Act, which became law in March of last year. Sen. Bishop fearlessly defended this common sense law even after it was repealed in March of this year. Sponsors! We enjoyed tremendous support from several sponsors. We would like to give special recognition to those whose generosity sponsored the majority of our event. Thank you, Caleb Benton, President of Benton Roofing in East Flat Rock, North Carolina, for partnering with us. 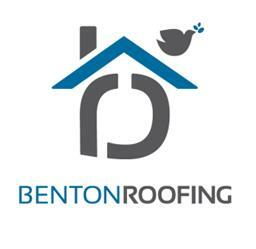 “Throughout 4 decades, two generations, and thousands of roofs, Benton Roofing remains firm on the principles that brought them their success: biblical virtue, integrity, honesty, and quality workmanship.” Click here to learn more. Thank you, Mary Frances Forrester, our Associate Director, for believing in the mission and vision of both CWA and CWA of North Carolina. For many years, Mary Frances worked tirelessly alongside her late husband, Sen. James S. Forrester, and she continues the work today. Contributors! Thank you to everyone who contributed at the event to CWA of North Carolina. Your continued support will make all the difference as we continue to defend the family in our great state through education, prayer and advocacy.